First let me start by telling you a bit more about Blendbox since this is the first time I’ll be reviewing some of their products. Blendbox blends their selection of essential oils with Grape Seed Oil, Sweet Almond Oil and Apricot Kernel Oil. They also use Avocado, Shea and Cocoa butter to blend their wonderful body butters. Blendbox has been in the ‘blending’ business for over 16 years and Miemie’s love and passion for all things natural is something truly special. Miemie’s products are 100% natural and yet they still smell yummy and refreshing (depends which product line you go for). 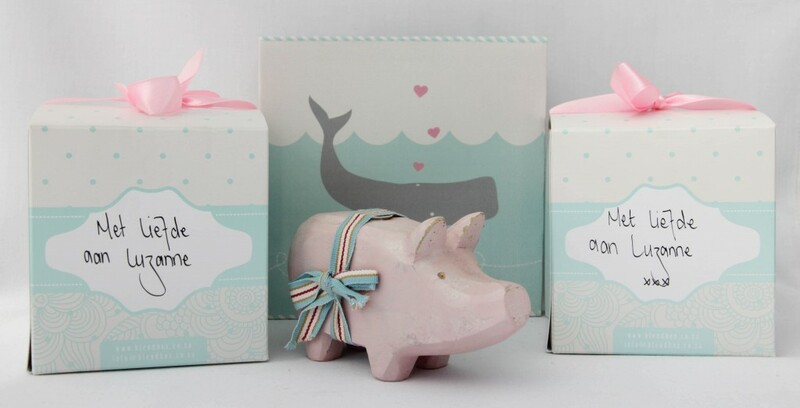 How cute is the Blendbox packaging? When I saw these boxes, they definitely brought a smile to my face. I also just want to add that Miemie is THE friendliest and most helpful lady I have met in a while. Definitely the best customer service I have received from a company in a very long time. Blendbox will be at Tierlantynkies this year and I am looking forward to meeting Miemie in person, my mom has had the pleasure of meeting her and said she is a lovely lady. I love the Soft range, the products smell so yummy – as mentioned in my August 2013 Favourites blog post, it smells like melted marshmallows. What BlendBox says: The Soft Body Butter contains a blend of the natural plant properties of essential oils, sweet almond oil and pure butters to nourish dehydrated / sensitive skin. The Soft range improves skin elasticity, heals cracked skin, sores and wounds while over time reducing redness, irritation and itching. My review: This body butter is thebomb.com! I apply it when I get out of the shower, when there’s still a bit of moisture on my skin – this ensures the body butter locks the moisture in. I also apply generous amounts to my feet before I put my sleeping socks on and when I wake up in the morning, my feet feel super soft (no sign of Winter heels). The scent of the body butter lingers for a couple of hours and it doesn’t leave the skin feeling oily at all. Some body butters / mousses can sometimes leave behind a white film on the skin (when I was using the Beauty Factory Body Mousse a couple of months ago, I noticed that whenever I wore short black pants, there would always be some type of powder transferred), this body butter is completely absorbed into the skin. The price: R 125,00 for 200ml (available from Miemie on the Blendbox Facebook page). 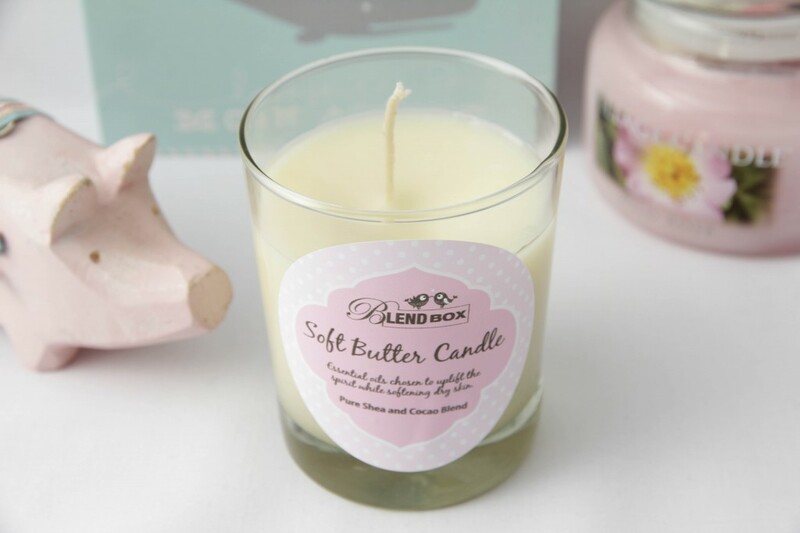 What BlendBox says: Body butter candles are made of the finest quality natural products – superior beeswax ensures that the candles burn evenly and much longer than paraffin candles. The candles are biodegradable, contain no petrochemicals / toxins, are 99% soot free and contain pure cotton wicks. Additionally, Blendbox candles are amazing moisturising and massage candles that reap many therapeutic benefits for the skin. All ingredients are from reputable certified sources to ensure a quality product, maintaining the integrity of the ingredients and their holistic properties. Added to this blend is skin softening essential oils, blended to soothe and calm senses and the skin. Made with pure Grape Seed Oil, Sweet Almond Oil, Shea Butter, Cocoa Butter and Beeswax. My review: The candle has a subtle fragrance, not as noticeable as the Body Butter or Body Scrub scents. To be honest, it’s a welcomed change because all my other Yankee Candles have quite distinctive strong scents. I can’t really review the effectiveness as a massage candle, as I haven’t used it for that. I have, however, used it as a type of hand mask (almost like a paraffin dip you get in the salons) and it works wonderfully for that. I let the candle burn for about 15 minutes and then pour the hot wax into my hand. Don’t worry, ladies, these candles are made with wax that melts at a lower temperature, so you don’t run the risk of an accident or burn. As soon as I have the desired amount of wax in my hand, I rub both my hands together (almost like I’m washing my hands). It’s amazing – the wax is completely absorbed into the skin after a couple of minutes. It leaves my skin feeling soft, moisturised and well nourished. The tip: Blow the candle out before you decant the liquid wax into your hand. The very first time I used the candle, I forgot to do this and the flame made an ugly black mark on the one side of the candle. If you are not OCD like me, then don’t mind this tip. The price: R 140,00 for 200ml (available from Miemie on the BlendBox Facebook page). P.S. I took the photos above when I received the products, thus they were still new and unused (except for the body butter, I started using that one as soon as I got a whiff of the scent). Must place an order with Miemie, that candle looks like something very special if you can use it on your hands? I’ve never heard of anything like it? I’m really loving the candle, it is something quite different. I think I’m going to grab me some of that body butter, really looks smooth! Like I said before, I love BlendBox products and Miemie is really a most helpful and friendly saleslady! The candle really sounds special and I will definitely buy one at Tierlantynkies! The candle is amazing, you should definitely get one!